Most hackspaces have a laser cutter and they are considered invaluable by most members. Lots of people join a hackspace for access to a laser cutter and then stay when they realise what else is on offer. So we need one partly to attract new members but also because we really ant to play with one. I have been self teaching myself welding for a year or so. I picked up the cheapest entry level MIG (Clarke Pro 90 MIG Welder) off ebay and just went at it. Some other kind folks at Hackspace (Steve and Neil) showed me some arc (MMA = manual metal arc) and gave me some time on a proper MIG setup which made be realise how "Pro" has no place in the name of my Clarke Pro 90. So when another member (Barny) posted a Beginners and Improvers Welding course at Easton college I thought it would be a good idea to get some proper training and fun too. So this is what we learnt. How would you make a sundial that displays the time with digits? No power required and is even adjustable for British summer time. The designer Jacky Wan explains the hand project to Norm from tested. Also shows a new design that has a cooler steampunk feel as well as some cool modifications like 3d printed temsioners that replace those pesky screws. 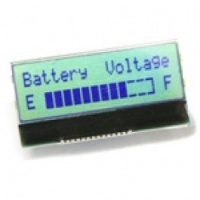 TextStar is a small LCD (liquid crystal display) that is easily controlled using basic serial command from and Arduino or similar. Great for debugging and has a some nice bar graph features built in. Not very cheap tho. Confusing, frustration and then success. We continue the project to refine the Shapeoko by replacing the RAMPS shield with a CNC shield.